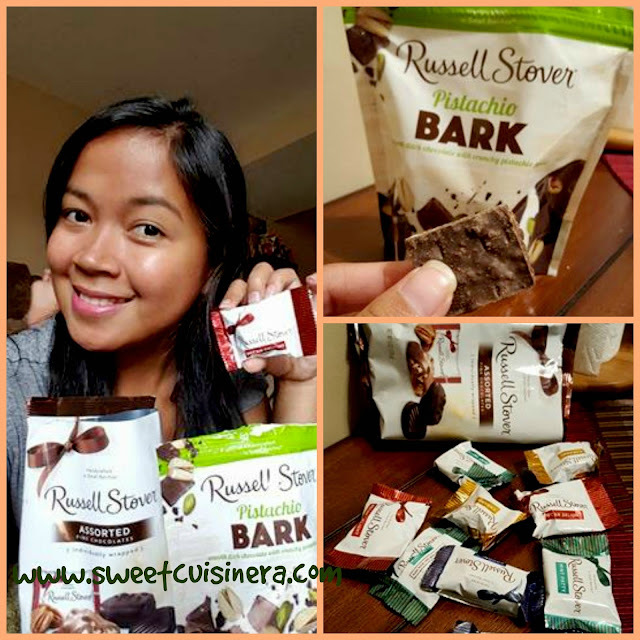 Russell Stover® Everyday Chocolates Experience! Disclosure: I received these two bags Russell Stover Everyday Chocolate and coupons for free courtesy from BzzAgent. Opinion express are my own. What is BzzAgent? An international network of consumers who voluntarily participate in word-of-mouth (WOM) campaigns for a variety of products and services. How Bzzagent works? take surveys, get invited, try the product, review and share, then Keep it UP! If you haven't Sign Up yet. Its totally FREE to join and its awesome freebie site. I been a member for over two years and received countless great products from this site. Check BzzAgent site and Sign Up for free! Now we know how amazing to be a member of BzzAgent. Lets go back and experience #ChocolateEverday with Russell Stover Chocolates. Yumm! I'm literally eating Russell Stover Pistachio Bark while writing this blog (wink) Do you want to know what's inside my BzzKit? Grab your favorite drink, and together let's open my BzzKit. So, What is BzzAgent? An international network of consumers who voluntarily participate in word-of-mouth (WOM) campaigns for a variety of products and services. How Bzzagent works? take surveys, get invited, try the product, review and share, then Keep it UP! Check out Bzzagent website and sign up for FREE. Have fun exploring this amazing site. Milk Chocolate Pecan Delight- Crunchy pecans and buttery caramel in a milk chocolate shell. All four flavors are equally delicious! They are individually wrapped and handcrafted in small batches. Perfect sweet treat for the whole family. Have I told you how much I love Russell Stover? I can't get enough of this rich, creamy, superior chocolate taste. Indeed delicious! 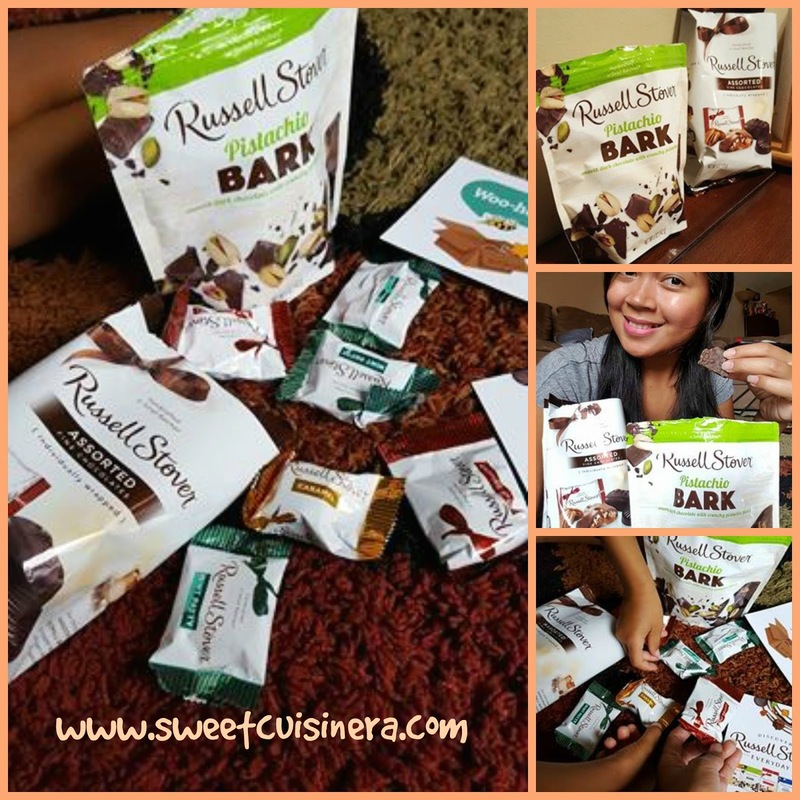 Let's move on and talk about your next favorite Russell Stover Everday Chocolates, introducing Bark and Pretzels. A perfect chocolate treat with super easy resealable pouches for convenient snacking. Crunchy treat for unique satisfying taste. Orange & Almond Bark- lightly roasted almonds and bright orange pieces in rich dark chocolate bark. Milk Chocolate Pretzels- Crunchy pretzels twice-dipped in sweet milk chocolate with a sprinkle of sea salt. The Pistachio Bark was the bag that I received for free, and its absolutely delicious! It has perfect flavor, sweetness and crunch. Let me tell you something, Pistachio Bark is so addicting and delicious! A perfect snack treat anytime of the day. Yum! 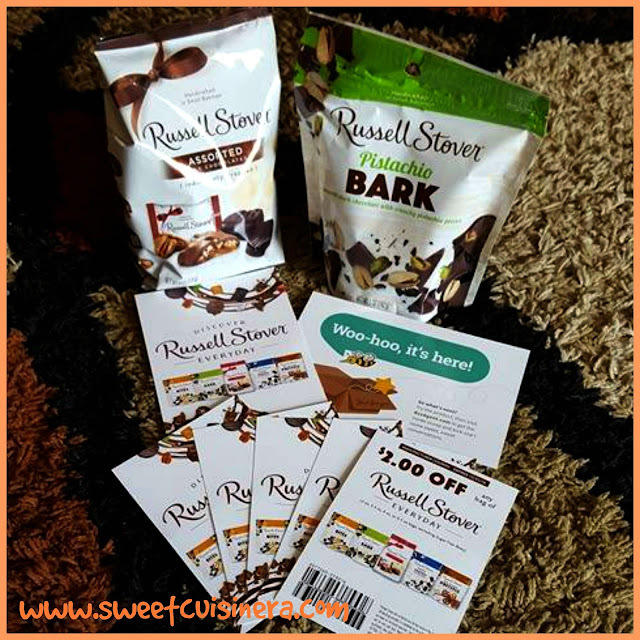 I highly recommend all the Russell Stover chocolates flavors mentioned on this blog post. They are DELICIOUS! These delicious Russell Stover Everyday Chocolates treats really completes my chocolate cravings. Its made with superior chocolate taste and quality, that makes every bite super special. If you are looking for special chocolate treats. Look no further and grab bags of Russell Stover Everyday Chocolates at you store. I absolutely LOVE every single bite of Russell Stover Everyday Chocolates. It is now officially one of my favorite chocolate treats. Its amazingly delicious! Give it a try and stock up at Kroger, Target, Walmart or use this Store Locator to find Russell Stover retail stores near you. Chocolates is always love. Can I have some sis? Those Russel Stover Milk Chocolates look yummy. I'm not much of a chocolate lover - but when I do, ayoko ng plain chocolate, parang ang bilis kasi sumakit ng lalamunan ko pag sobrang sweet. haha. And of all the branded chocolates out there, I love snickers the most. hehe. This one looks tasty too, gusto ko kasi ung di pure chocolate lang. Chocolate are more tastier if its free. Great Review Ms. Melgie! Thanks for the review. I would love to check out this Bzzagent too. The products they send out for sampling look so good! Those Russell Stover Everyday Chocolates are to die for! You are welcome, I agree Russell Stover Everyday Chocolates are to die for. Yum! I love love love Russell Stover!!! You got me drooling with this post. I haven't tried the pistachio bark yet but I love Russell Stover chocolates.